This is how PlayStation legends are born – and you’re about to witness it first-hand in a fantastic new way. Closely following the vision of the forthcoming animated movie, relive the laugh a minute tale of how furry Lombax mechanic Ratchet became pals with the rebellious sentry robot Clank. Spacesuit up for this reimagined, adrenaline charged adventure packed full of new gameplay, bosses and levels not seen in the PlayStation original. Save the galaxy with even more guns and gadgets added to the series’ already inventive arsenal – and enjoy it all with amazing footage from the movie itself and glorious in-game visuals that take advantage of the PS4 system’s world-shaking power. Relive the laugh a minute origin tale of two PlayStation heroes. Blast off with an amazing reimagining of a PlayStation classic. Get acquainted with the universe’s last Lombax, Ratchet. After crash landing on Veldin as an infant, he was taken in by Grimroth and began work as a local ship mechanic. Ratchet has a big heart and always dreamed he was destined for greater things in the galaxy. His world gets turned upside down the day his soon-to-be best buddy, Clank, careens into his life and leads him on a journey that will span the galaxy. Rarely seen without a gadget in hand, Ratchet is the kind of Lombax that likes to shoot first and ask questions later… and then maybe shoot some more after that. What he lacks in stature he more than makes up for in technological wizardry, overcoming enemies and obstacles with a range of sweet signature tech and mad-cap weaponry. Meet the diminutive, defective war bot affectionately known as Clank. Despite being a living computer filled with data, Clank has only lived for a short time, and retains a child-like curiosity. Ratchet’s long-time collaborator in all things adventure-y and a fated son of the cosmos, Clank is the persistent voice of reason to Ratchet’s rash and ready approach. Born out of a Zoni-aided malfunction in the Warbot Factory on the planet Quartu, Clank’s origins are long a mystery – even to himself – as he travels about with his buddy Ratchet. More cool-headed than his contemporary, Clank prefers to use his wits and leaves the shooting to others. You’ve not heard of Captain Copernicus L. Qwark? What kind of space rock have you been living under all these years? Regarded by many in the universe as a paragon of heroic virtue – courageous, compassionate and handsome – there’s actually a lot less to Qwark than might initially meet the eye. A professional fraudster driven by ruthless ambition, the true story of his ascent to intergalactic renown is actually far less heroic than he’d have you believe. Typically motivated by his own personal agenda, it can be hard to know if he represents a friend or a foe. The very face of corporate greed and the executive dictator of terraforming company Blarg Industries, Chairman Drek is the purest capitalist you’re ever likely to meet. This fast-talking and despicable Blarg has rampaged his way across the galaxy, leaving millions homeless in his ruthless pursuit of a perfect new home-world. Drek is the most powerful being from Quartu, a world ruined by over-population and toxic pollution. He’ll stop at nothing to create a perfect new home-world, even if it means destroying planets across the galaxy to steal the pieces of their world for his new masterpiece. Strong-willed and intelligent, Cora Veralux has dreamed of being a Galactic Ranger since she was a little girl. A young Markazian from the Polaris system, Cora views Ratchet with some suspicion after he quickly joins the team she had trained her whole life to join. Where would a mechanic be with his trusty wrench? A tool for all seasons, the Omniwrench is perfect mending, breaking or even bashing heads. A life-saver when the ammo starts to run low, but probably not much use against the big guys! Handy little havoc-causers these: think of the Buzz Blades as a high-speed game of pass-the-parcel, only much more dangerous. Unleash ragged, razor-sharp discs that’ll ricochet around the room, bouncing off walls, enemies and pretty much everything in their way. Chaos guaranteed. The bigger they are, the… better off you are keeping your distance. With three levels of zoom, this precision rifle is the thinking man’s weapon of choice. It’ll even handily pick-out enemy weak points for you – hit ‘em where it hurts, ranger! Great when the going gets tough, the Bouncer is the perfect partner for crowd control. Decimate entire rooms and send enemies sprawling with powerful omni-grenades that unleash a barrage of magnetic bouncing bombs! Not for the faint of heart, the Warmonger boasts the kind of raw planet-quaking power you’ll need only for the toughest enemies. Keep this gargantuan rocket launcher to one side until you’ll really need it. Get the skinny on all the universe's goofiest gadgets, most treacherous villains and sought-after collectibles. Our official guide includes galactic maps to help you get around, bios on the key characters and an in-depth Q&A with game director Chad Dezern, revealing exactly what it took to bring Ratchet and Clank to PlayStation 4. With Ratchet & Clank as part of the PlayStation Hits range, you can pick up this fantastic action-adventure for a wallet friendly price – along with a huge selection of other PS4 titles. Hey everyone. Ratchet & Clank on PS4 marked the first appearance of our long-running heroes on the console. It’s a galactic space adventure-filled with exotic planets, wild villains, and an arsenal not fit for this world. We’re pleased to be rolling out a free software update to the game to support the additional power that […] The post How PS4 Pro enhances Ratchet & Clank appeared first on PlayStation.Blog.Europe. It’s finally here! 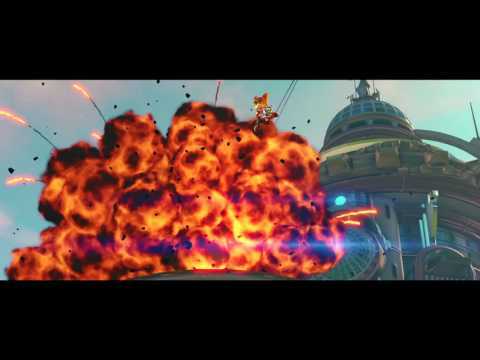 Ratchet & Clank arrives on PlayStation 4 across the PAL region today (UK release to follow on 22nd April), with an adventure that retells their origin story and ties into the major motion picture releasing in cinemas around the globe this spring. This has been a project that we here at Insomniac […] The post Ratchet & Clank is back with a bang today on PS4 appeared first on PlayStation.Blog.Europe. It seems incredible that we are just three weeks away from PlayStation’s greatest heroes making their debut on PlayStation 4. We’ve joked that Ratchet & Clank PS4 is the game based on the film based on the game…. and that’s actually pretty accurate! The film and game are designed as complementary pieces. 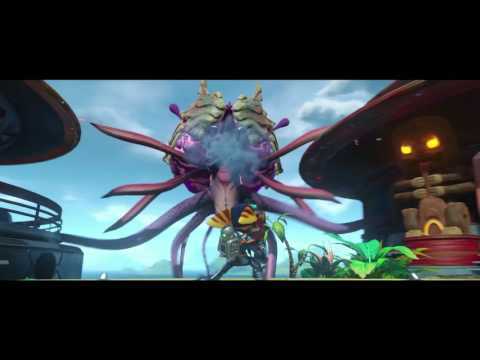 They tell the […] The post Check out the new Ratchet & Clank story trailer appeared first on PlayStation.Blog.Europe. Hey Ratchet & Clank fans, today we’re thrilled to announce that you’ll be able to pre-order Ratchet & Clank from… right this very moment, ahead of its launch on 22nd April in the UK, 15th April in France, and 20th April everywhere else in the PAL region. If you pre-order Ratchet & Clank you’ll get […] The post Ratchet & Clank PS4 release date confirmed, box art debuts appeared first on PlayStation.Blog.Europe.